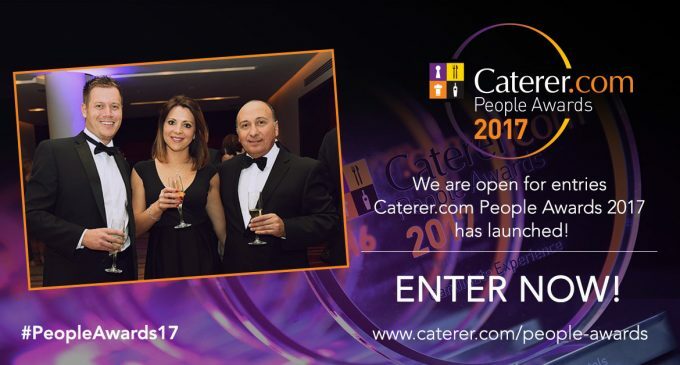 Entries opened yesterday for the 2017 Caterer.com People Awards. Aimed at recognising and celebrating the finest employer initiatives and innovations in hospitality recruitment, retention and development, each of the 13 categories and criteria represent the pinnacle of a company’s achievements. The awards are free of charge to enter and are open to hospitality employers from all sectors and regions of the UK. Nominations close on 2nd July 2017 and the awards dinner takes place on 5th October at the Park Plaza Westminster Bridge, London. Visit hwww.caterer.com/people-awards to enter and for more information on dinner booking.